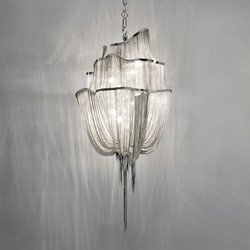 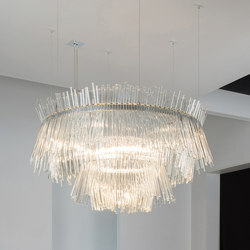 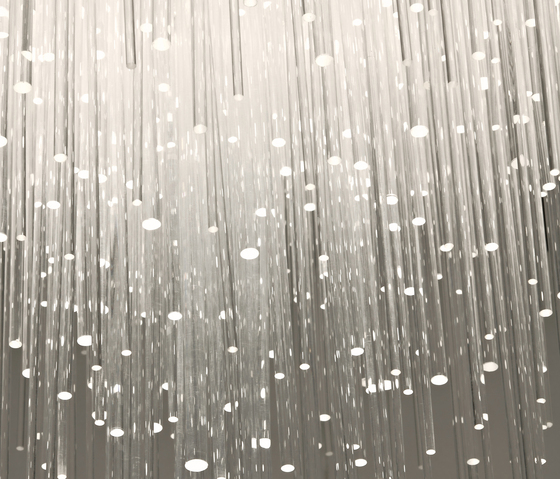 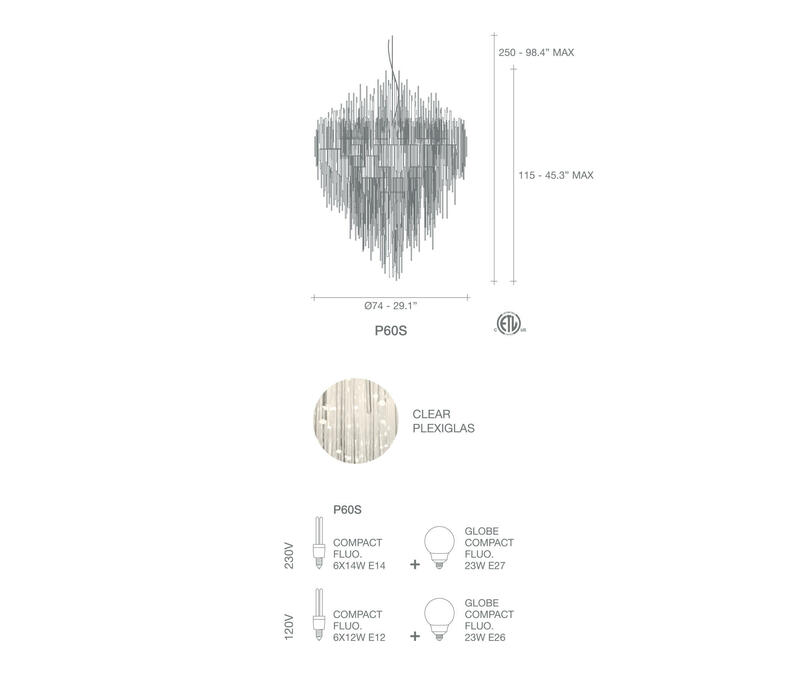 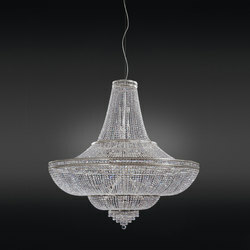 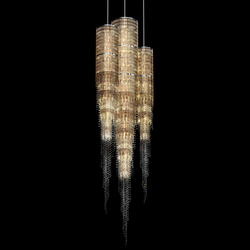 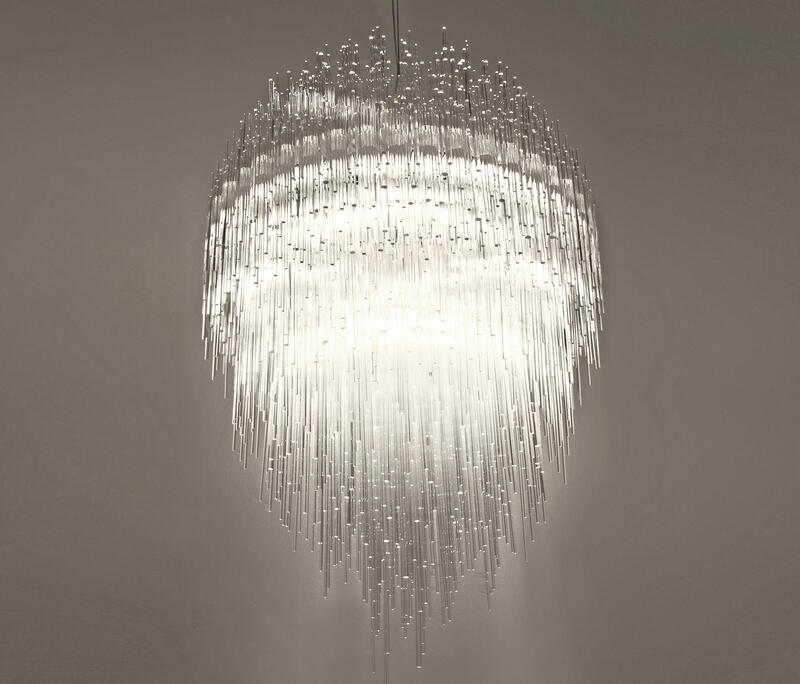 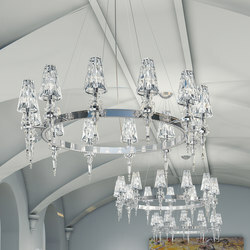 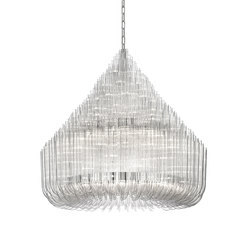 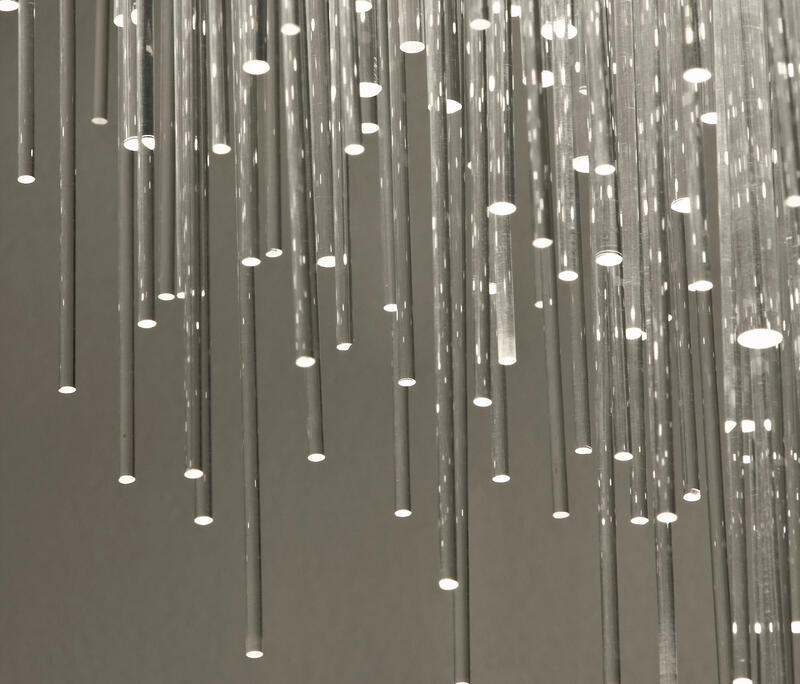 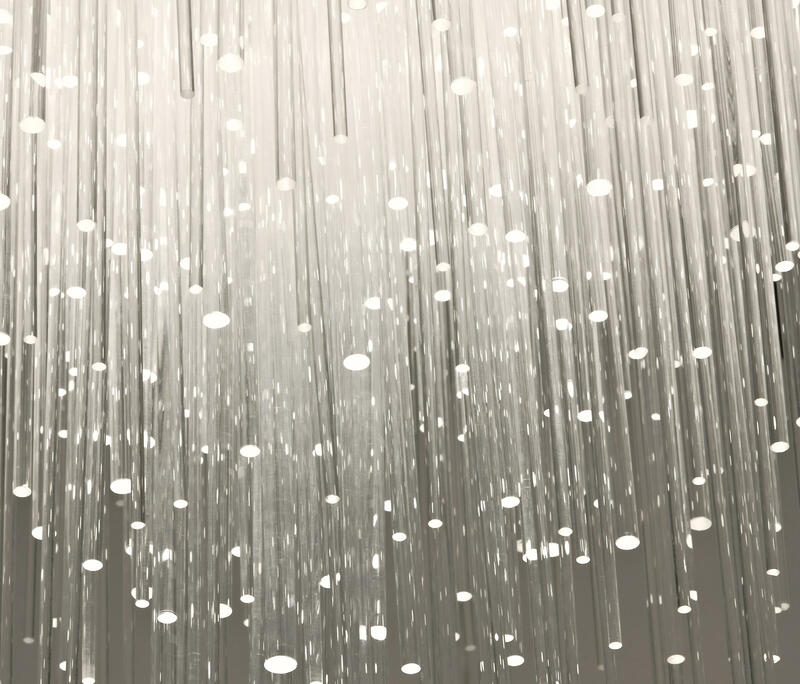 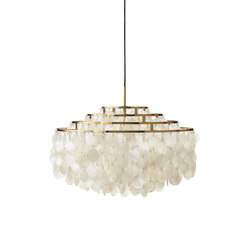 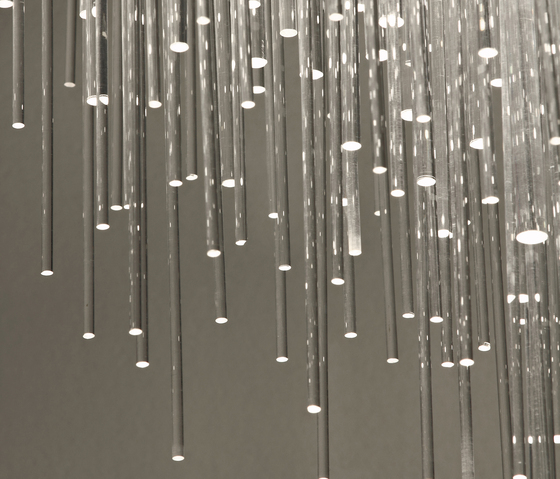 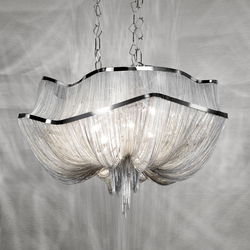 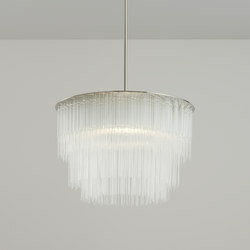 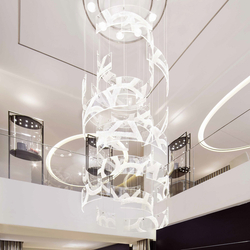 Inspired by the natural beauty of ice crystals, this new suspension light creates a spectacular, luminous piece through the use of over 3,600 crystal tubes. 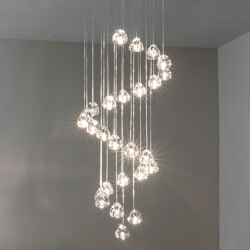 Similar to light refracting through water, the illumination created by iceberg is both brilliant and natural. 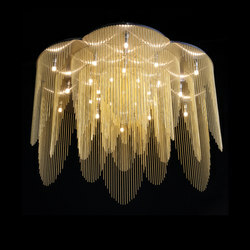 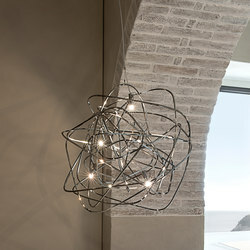 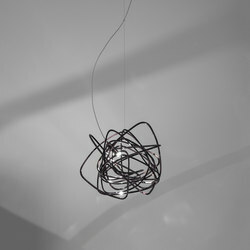 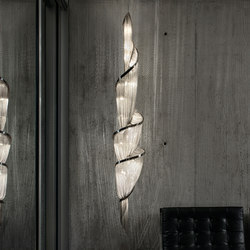 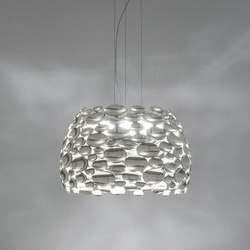 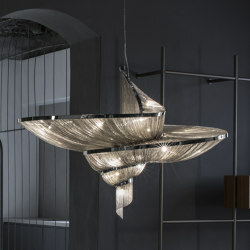 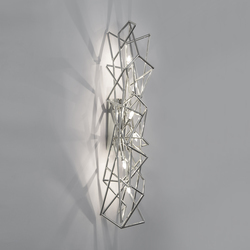 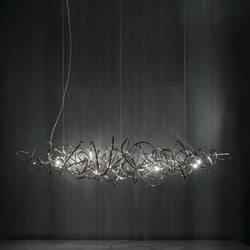 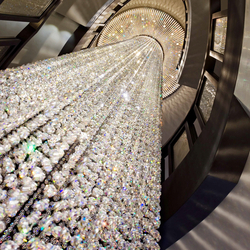 Meticulously handcrafted by Terzani’s master craftsmen, each light is a unique sculpture; sparkling, multifaceted and powerful.